The exhibition was organized by the German Frankfurt Messe Group. It has been held since 1990 and is held every year. It has been successfully held for 26 sessions. It has become a high-level exhibition in the field of global electrical automation systems and components. The scope of the exhibition covers drive systems and components, mechatronic components and peripherals, sensor technology, control technology, industrial control computers IPCS, industrial software, interactive technology, low-voltage switchgear, human-computer interaction devices, industrial communications and other industrial technologies. The tasks undertaken by IT and automation products are now more important than ever before, and Industry 4.0 will undoubtedly be the main topic of the show. This exhibition will be a great opportunity to show the world new products and innovation capabilities. Drive systems and components: general industrial motors, special industrial motors, servo motors, general purpose small motors, special design small motors, converters, chain and belt drives, frequency converters, shock absorbers, encoders, electromagnetic filters, actuators and motion Control system and related spare parts. Electromechanical components and accessories: control cabinet systems, electronic housing systems, cables and fiber optic systems, heating and cooling, control systems and manipulators, optical and electromechanical components, instrument components, components, and control accessories. Low-voltage switchgear: contactors, motor protection devices, capacitors, transformers, circuit breakers, etc. Automated instrumentation: intelligent instruments, transmitters, regulators, control valves, actuators and regulating valves, positioners, weighing devices, various types of sensors, encoders, light barriers, etc. Electronic and Electrical Measuring Instruments: Energy Meters, Testers, Power Meters, Laboratory and Portable Meters, Installed Indicators, Electronic Measuring Instruments, Power System Measuring Instruments, Signal Processors, Instrument Power Supplies; Human Machine Interface Technology, Industrial Software and Communication Technology. 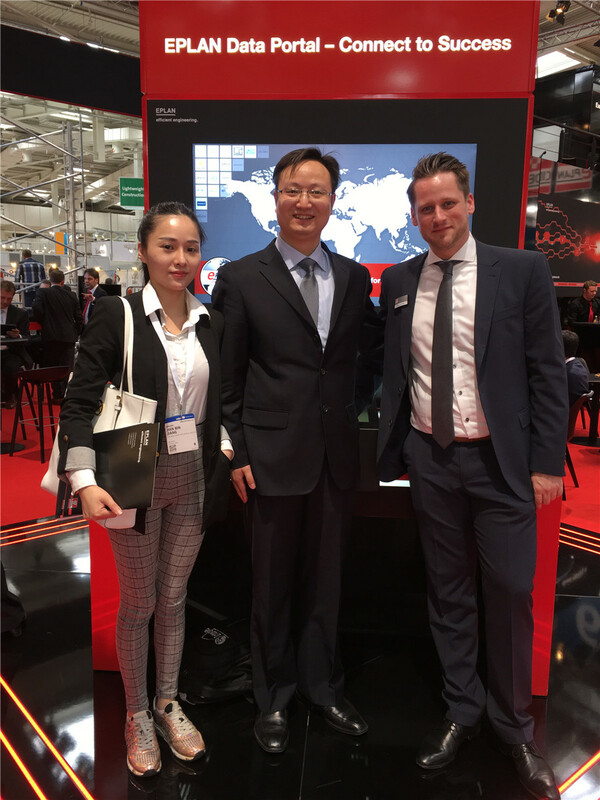 The exhibition in Nuremberg, Germany not only deeply understood the European industrial market, but also promoted SANYU's brand promotion in the electronic components industry, further enhancing SANYU's domestic brand image in the electronic equipment industry. In the future, SANYU will continue to rely on independent research and development to improve product performance and reliability, improve service quality, and provide customers with better products and more perfect system solutions.